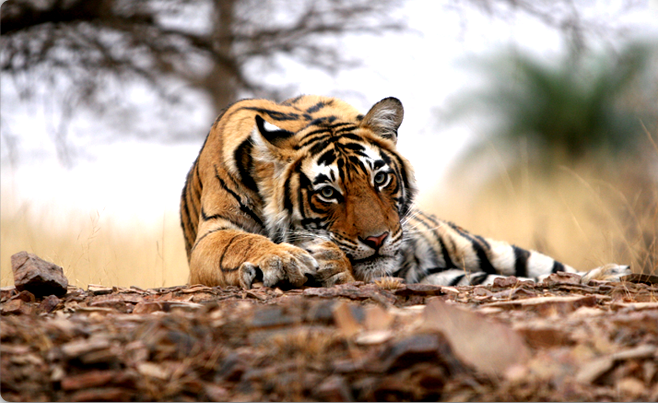 Ranthambore National Park is one of the largest national parks in northern India. It is situated 14 kilo Meters from Sawai Madhopur district and about 180 kilo Meters from Jaipur of southeastern Rajasthan in India. 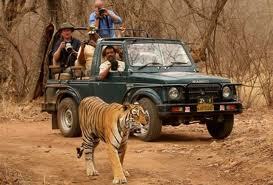 Being considered as one of the best place to view the powerful majestic predator Indian Tiger in the jungle. 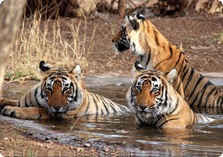 Ranthambore National Park is major wildlife tourist attraction and pulled attention of wildlife lover and photographers. Ranthambore National park is surrounded by the Vindhyas and Aravalis hill range and Ranthambore Tiger Reserve spread over an area approx 1410.64 sq.km including core and buffer area.. The vegetation of the Ranthambore is the tropical dry deciduous and tropical thorn type due to its hilly track, water is confined from narrow valleys and some lakes. There are several lakes in the park which known as Padam Talab, Raj Bagh Talab and Malik Talab. Ranthambore National Park is probably the best place in the world to see wild Indian tigers in its only dry deciduous natural habitat. Tigers can be easily spotted even during the day time. 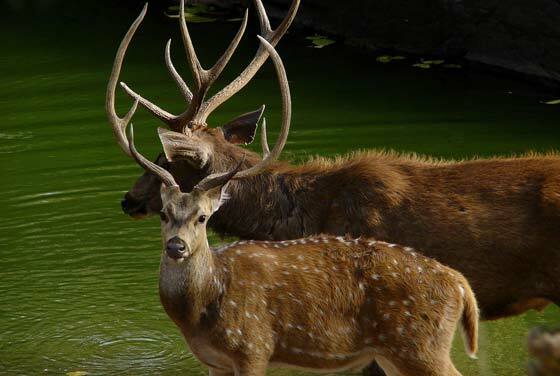 Ranthambore is also known for famous heritage site due to ruins and Fort. It is a home for different species of animals and birds. 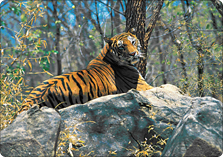 Today, Ranthambore National Park has become a popular tourist destination in the world for jungle safaris. 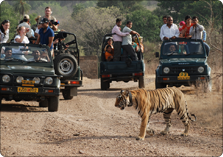 Due to many popular tigers living in this tiger reserve, thousands of tiger lovers around the world visit Ranthambore National Park and enjoy the jungle safari during the peak tourist season , which is consider from October to April. 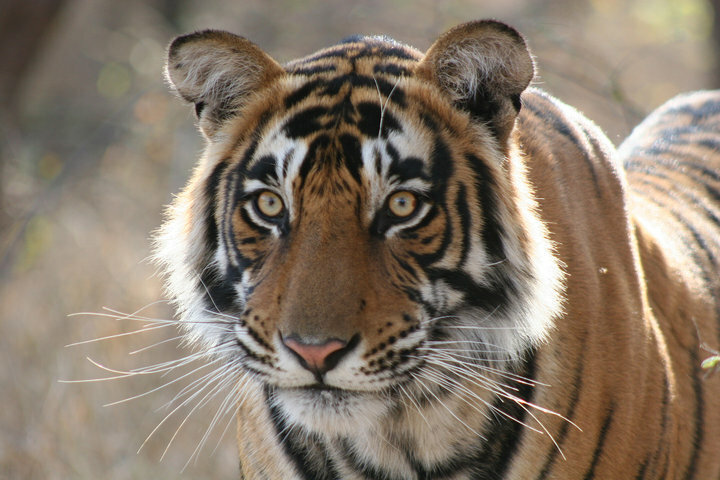 Among the many famous tigers of Ranthambore, the “Machli" was the world's most famous tigress. However, due to prolonged illness, she became weak and died in August 2016, but she left many legends of her youth days. Her generosity of bravery and power has inspired many wildlife documentaries, films and TV shows. Viewing these dangerous wild animals at a short distance in their natural wild environment during jungle safari is indeed an unforgettable wildlife experience of whole life. Find best offers for luxury Hotels & Resorts in Ranthambore,Choose your nestling in the natural beauty of the wilds. 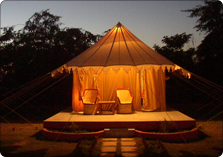 Get the list of best Deluxe hotels and resorts in Ranthambore. Make your stay unique and memorable.